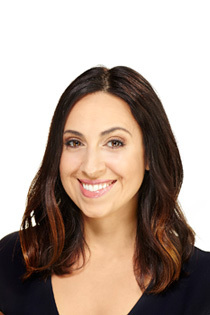 Robin Foroutan, MS, RDN, HHC is a registered dietitian nutritionist specializing in Integrative Medicine, Functional Medicine and holistic healing modalities. Robin combines the basic tenets of healthy eating with the emerging science of an Integrative and Functional Nutrition approach, utilizing dietary interventions and elimination diets, supplements, nutrigenomics, and mind-body techniques to help her clients address complicated conditions and return to wellness. While well versed in many conditions, she specializes in dietary approaches to digestive issues, detoxification support, fibromyalgia and chronic fatigue syndrome, Lyme and other tick-borne illness, food sensitivities, disease prevention, and weight management. In addition to nutrition counseling, she is a writer and frequent contributor to Food & Nutrition Magazine, decoding the latest research on topics such as detoxification, telomeres and anti-aging, and the microbiome. Robin currently serves as a National Spokesperson for the Academy of Nutrition and Dietetics, and is the recipient of the 2016 Excellence in Service award given by Dietitians in Integrative and Functional Medicine (DIFM). She lectures to the public, university students and fellow dietitians on ways to use food as a foundation for health and healing, as well as topics central to the Integrative and Functional Nutrition model. Robin currently serves as an Advisory Board Member and faculty for the Integrative & Functional Nutrition Academy. Previously on the Executive Committee for DIFM she served as Communications Chair from 2010-2013 and as DIFM’s first Marketing Chair from 2013-2014. Robin earned a Master of Science degree in Nutrition Education and completed a dietetic internship to become certified as a Registered Dietitian at Columbia University. She earned a Bachelor of Science degree in Nutrition and Dietetics from New York University. She is Board Certified as a Holistic Health Counselor through the American Association of Drugless Practitioners and the Institute for Integrative Nutrition, and has been trained in “Food as Medicine” through the Center for Mind-Body Medicine. We are pleased that Robin has joined our team at The Morrison Center, bringing her extensive nutrition expertise to both our Center and the Crave Healthy and Daily Benefit® blogs. What to know about intermittent fasting: Is it right for you? New Starbucks Secret Menu drink is pretty, but is it healthy? ‘The Hills’ star’s confession: Can vitamin deficiencies trigger depression? How to get over a cold and prevent them in the first place, naturally!